Less is more? Well, not always! Max out your space for an expressive, creative aesthetic. Clean, neutral minimalism has dominated the interior design industry for years, and while there is something to be said for the elegance and sophistication of that aesthetic, it’s not for everyone. Vibrant, maxed out spaces are a brilliant way to set your creativity free; creating a space that is bursting with charm, whimsy and personality. 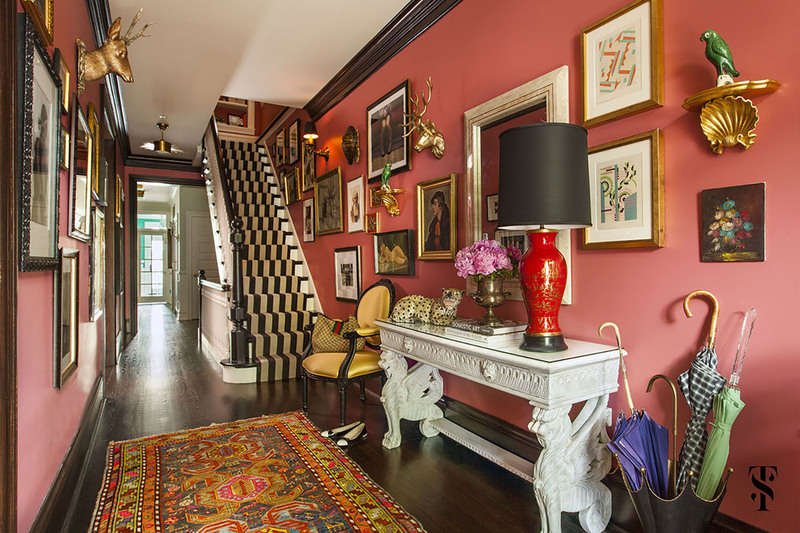 Below are a few helpful tips for the mastery of maximalism. Maximalism is an aesthetic like any other, and while it does allow for a lot of expression, there are certain guidelines to follow. Maximalism is not an out of control riot of different patterns and colour, but a specific combination of styles. What style that might be is down to you. Have a taste for the glamorous things in life? Dress your space up with gold, pastels, beautiful flowers and tasteful art pieces. More laid back and bohemian? Then search out eclectic prints and textiles that speak to that visual style. Everything you select should work together, rather than in isolation, to make your space cohesive as well as vibrant. Maximalism is all about soul, and what decor has more soul than historical furniture? People with an appreciation of history are often drawn to the character of maximalism, rather than the more utilitarian minimalism. The sofa is the star of every living room, and vintage sofas are unique, impactful and interesting. Whether you choose a 1970s turquoise two-seater, or a Swedish art deco number, a vintage sofa will contribute to any aesthetic. Vinterior specialises in stunning vintage sofas and furniture, saving you from trawling through flea markets in the hopes of a rare find. Pick a theme and let patterns run wild. Whether its wallpaper, tiles, textiles, or all of the above, patterns make for maximum maximalism. Having a theme or ‘pattern story’ will ensure that there is a unifying element to the room, preventing the finished product from looking messy and chaotic. You may be interested in an exotic jungle theme, in which case leopard print, banana leaf prints and art featuring animals would be excellent choices. Otherwise match the patterns by colour for a more subtle, but equally cohesive theme. Leave coordination to more uptight people. As long as there is some method to the madness, there is no such thing as too many layers in a maximalist space. Unify the room with an underlying colour scheme (a loose scheme, like sea tones, or warm shades, will prevent you from becoming too fixated on it), then look to explore different textures and pattern, for a bold look with serious impact. Decorating in shades from the same colour family means that the space will not become too busy. Have a penchant for red? Then use different shades of it on everything from the wallpaper to the cushions. If you prefer the more crimson shades of red, then you can also include pinks and purples, while a scarlet colour scheme will enable you to employ oranges and yellows for a sunny design. For a bold contrast, you could include one or two statement pieces in a totally opposing shade, like a turquoise vase in the centre of a maroon table. Maximalism means taking the objects that make you happy and putting them on display, whether it’s art, books or worldly accessories. A big collection isn’t accrued overnight, so leave some space for your collection to grow as you curate. A true maximalist space takes patience, but the wait is worth it for a space that is truly your own.